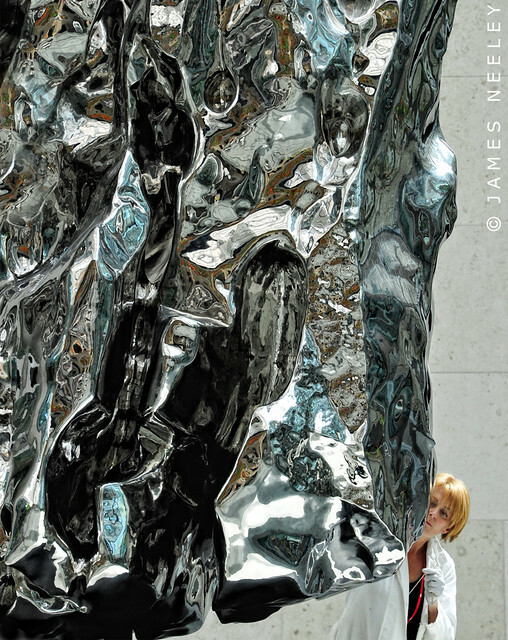 A MFA worker carefully cleans the Zhan Wang sculpture entitled "Artificial Rock #85" located in the Shapiro Courtyard at the Boston Museum of Fine Arts. She used a small bottle of some cleaning fluid and slowly worked around the bottom of the sculpture with what looked like a Q-tip. It was fascinating to watch her carefully and meticulously work.